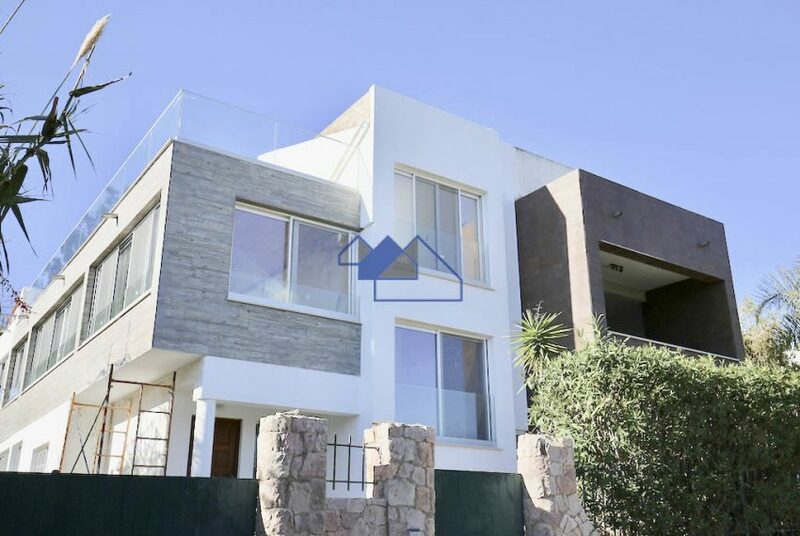 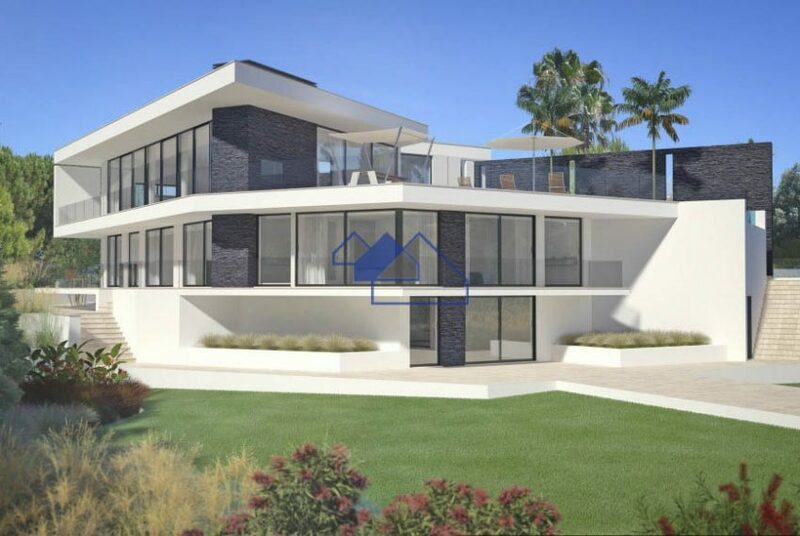 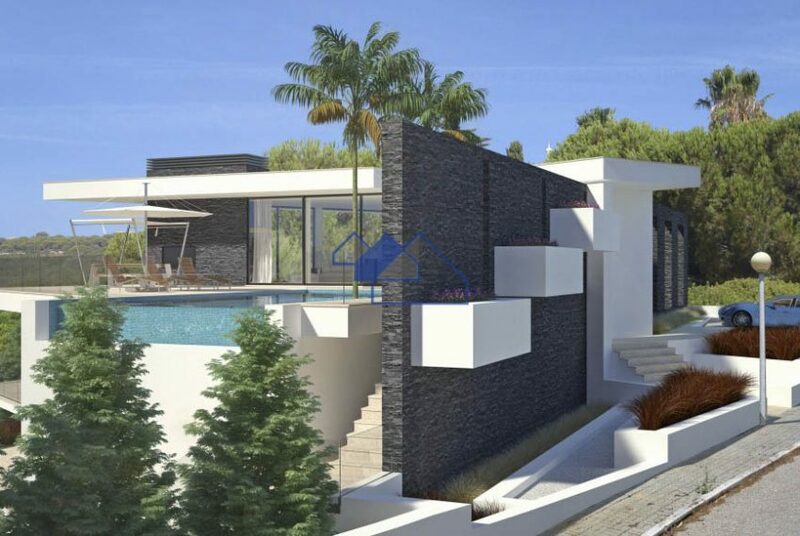 This outstanding 4 bedroom villa will be built on a large plot of 1970 m2 with quality materials and following top specifications. 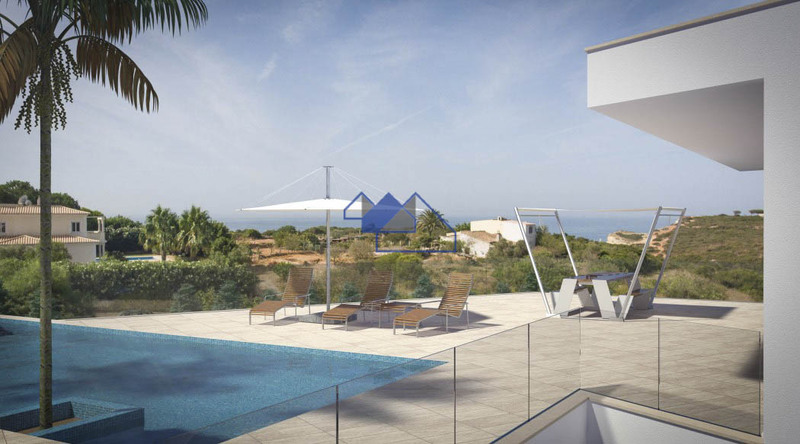 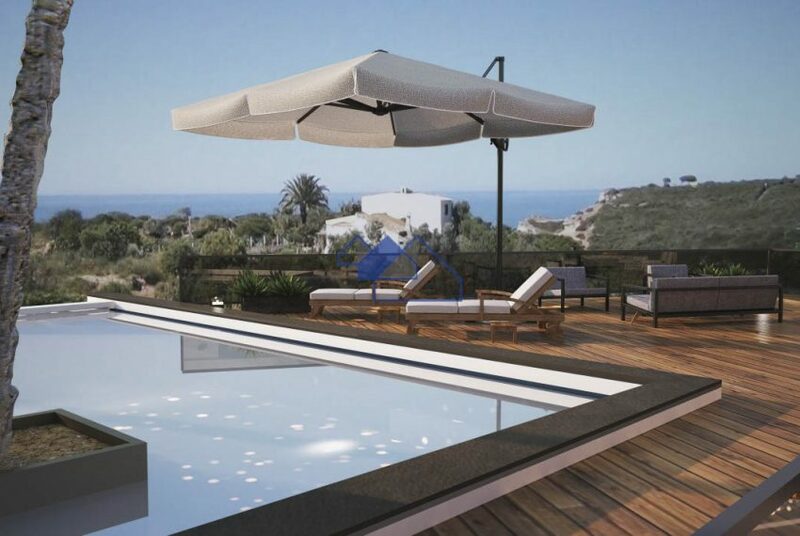 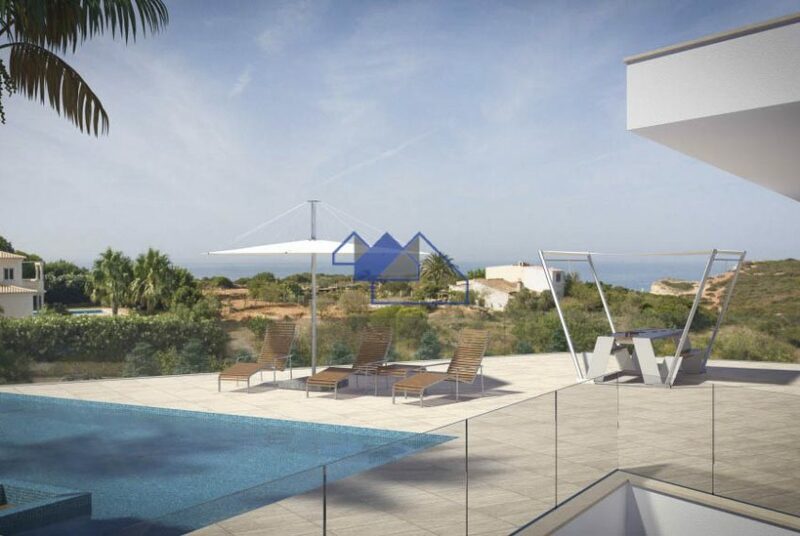 The villa will be part of an existing urbanisation surrounded by gorgeous mediterranean vegetation and with great ocean views. 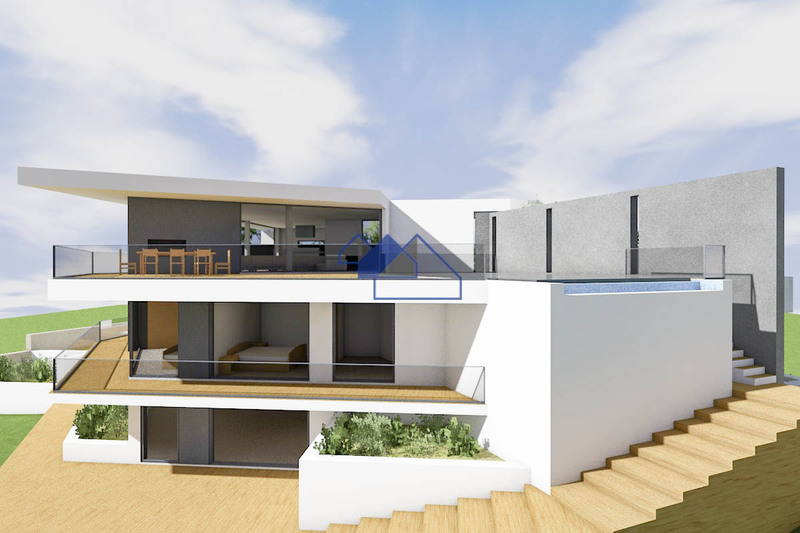 The house will have 2 main floors and a total area of 340 m2. 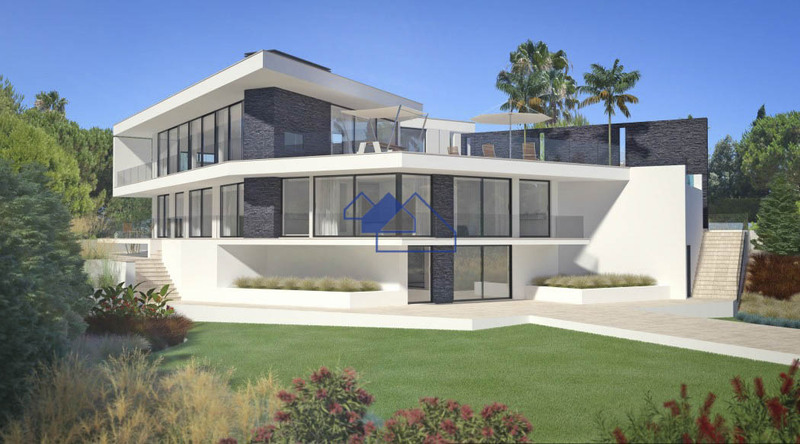 Upon entering the house you will enter into an impressive hallway, that then leads up to the lounge, dining and kitchen area that are surrounded by glass panels and decked terraces. 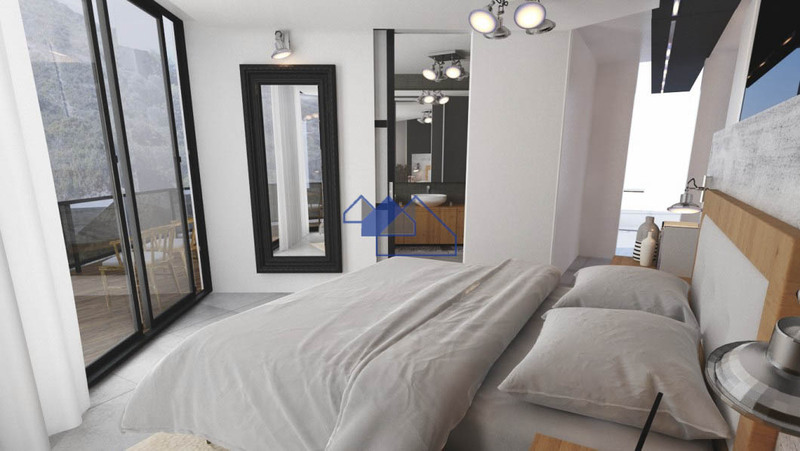 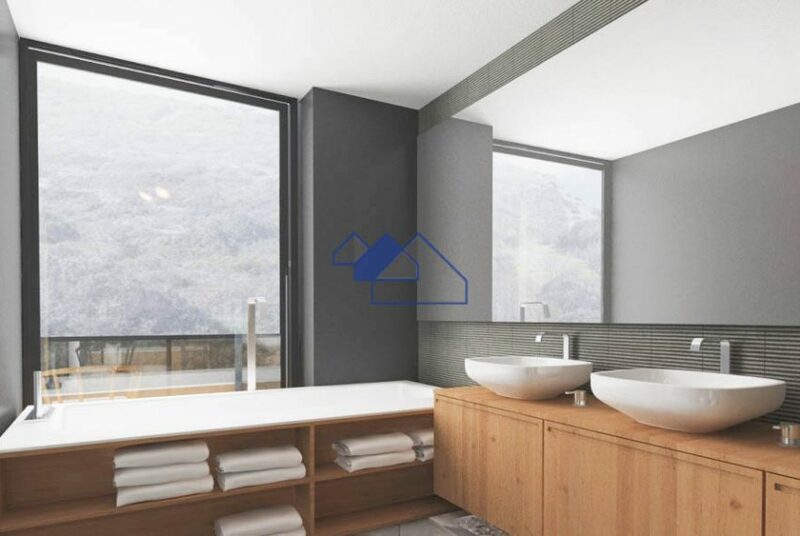 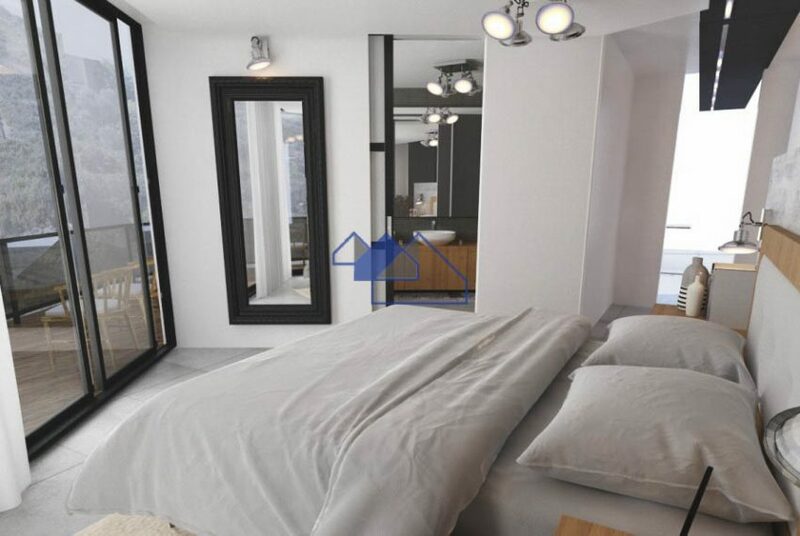 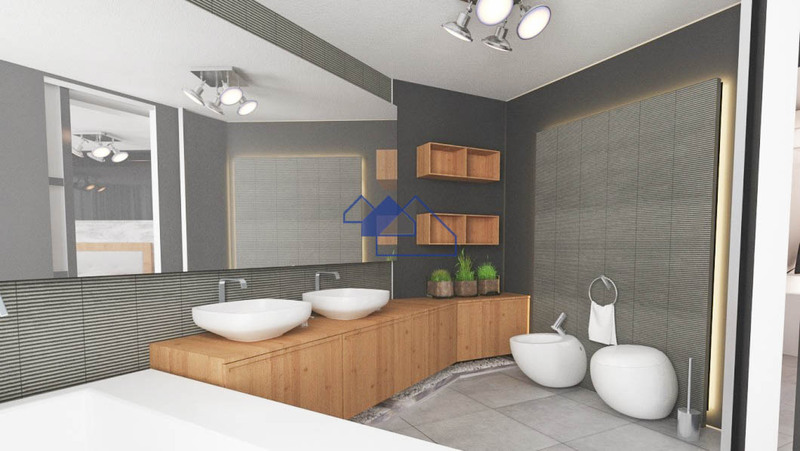 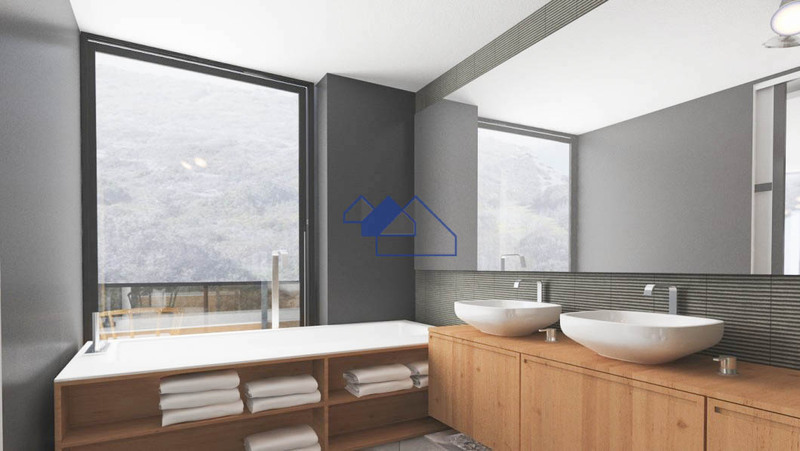 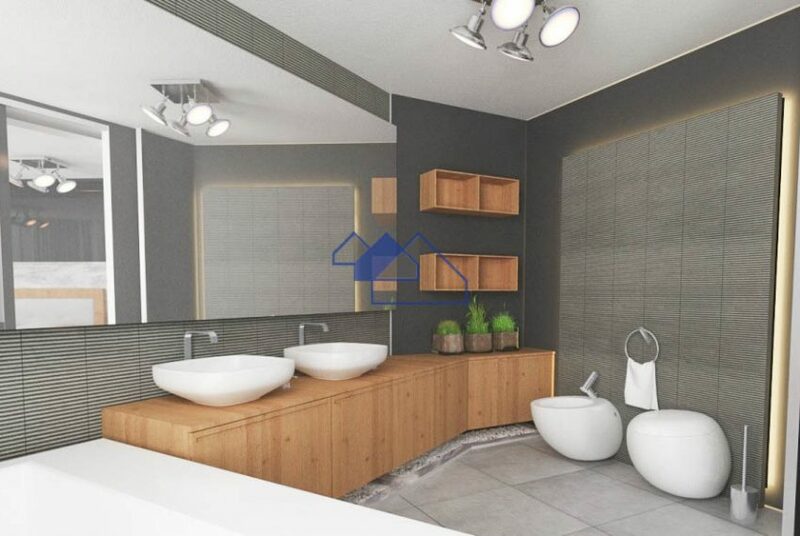 All bedrooms will have ensuite bathrooms. 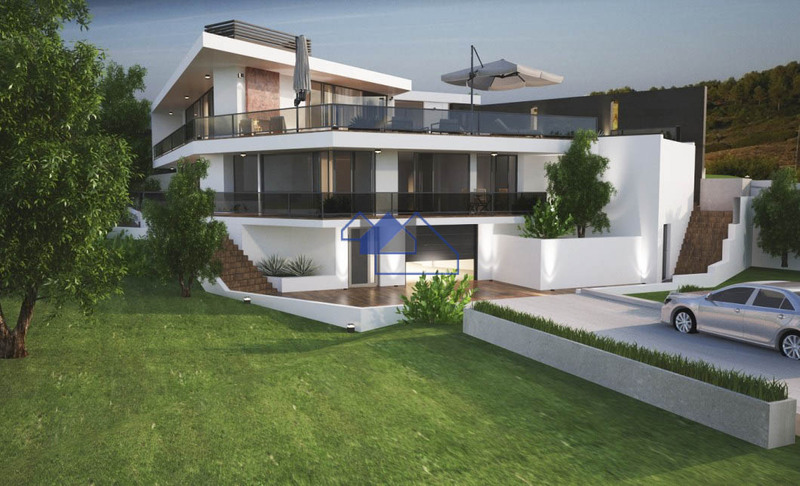 There is also a large basement of 175 m2 which can be used as an underground garage or can be converted into a gymnasium or a cinema room. 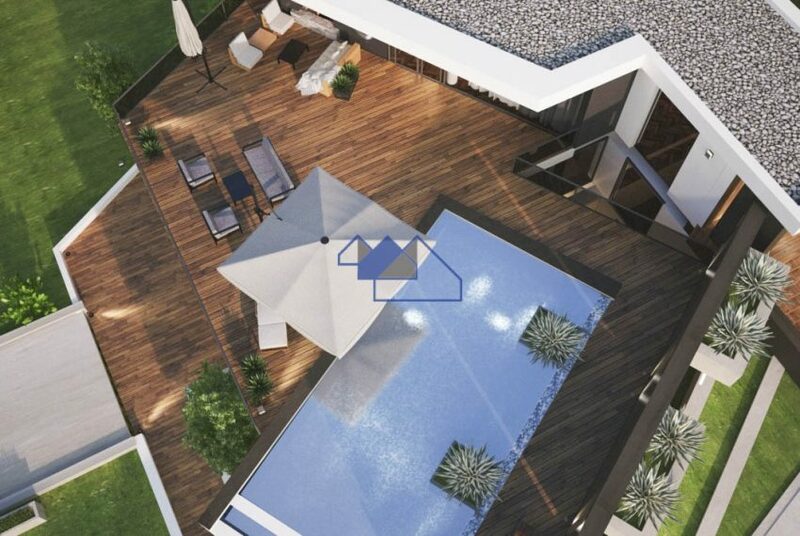 There will also be a heated swimming pool surrounded by decking. 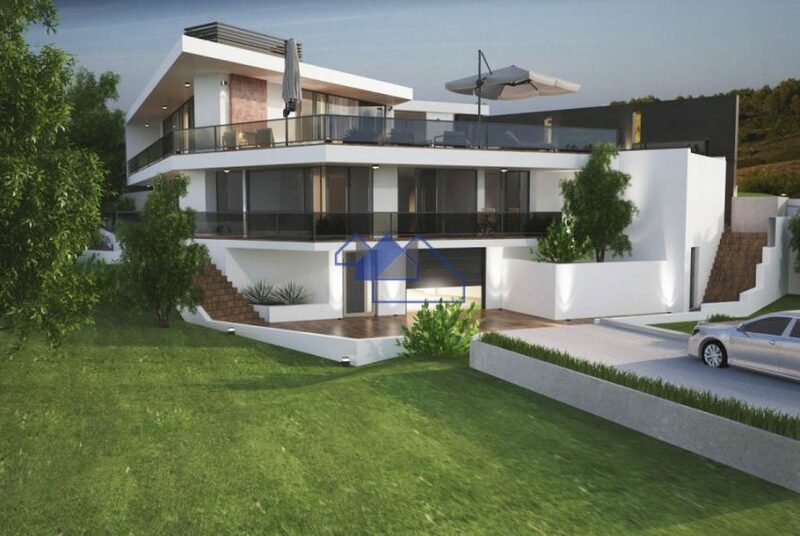 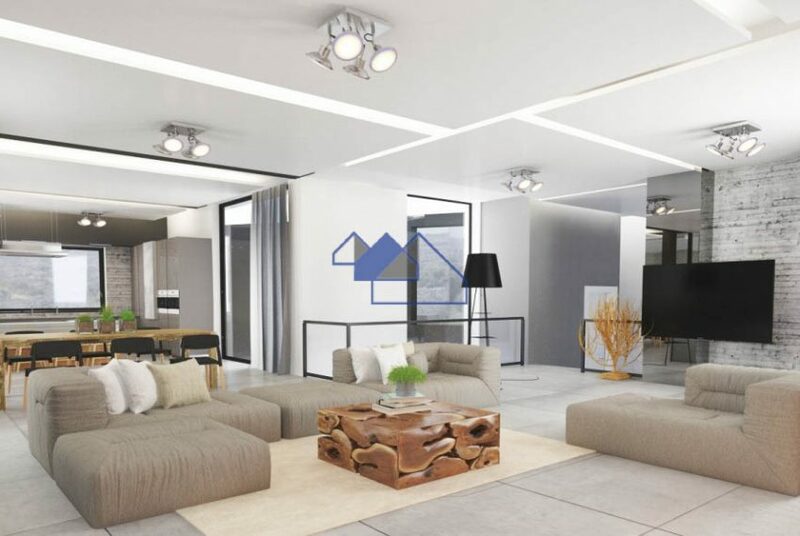 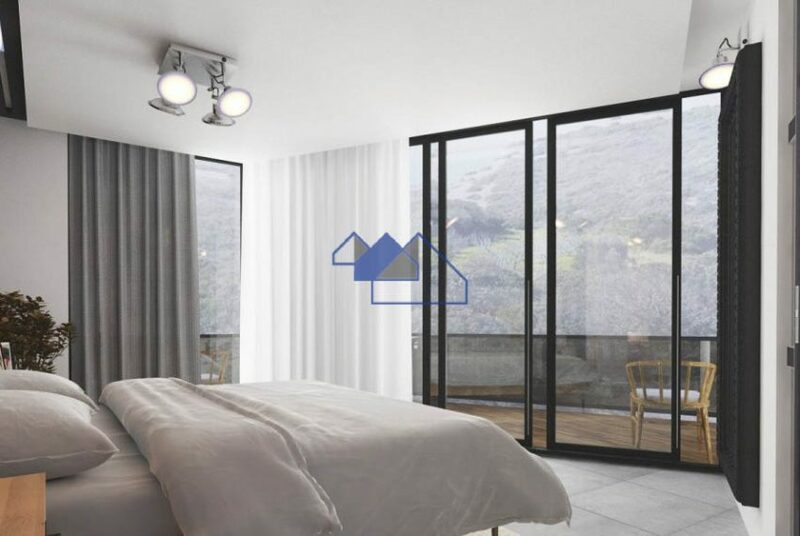 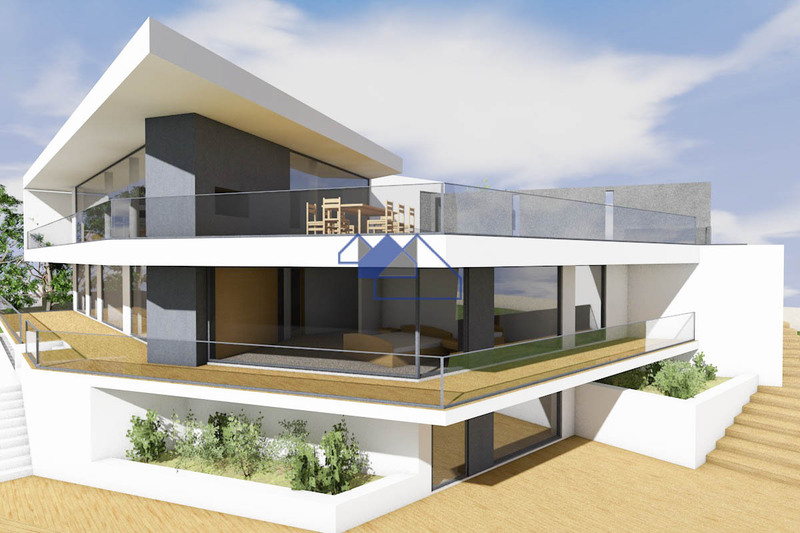 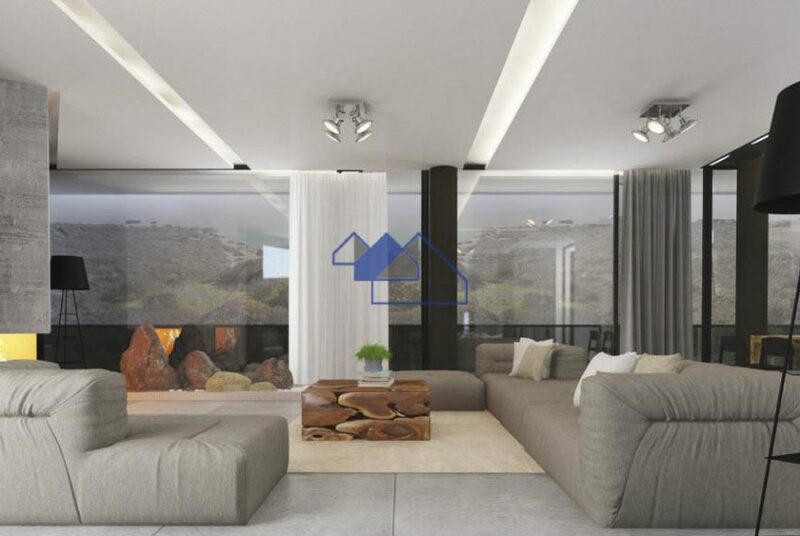 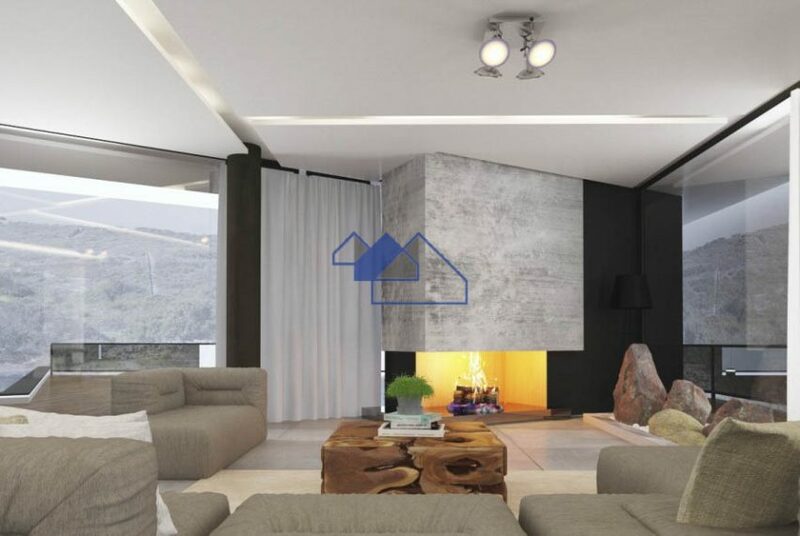 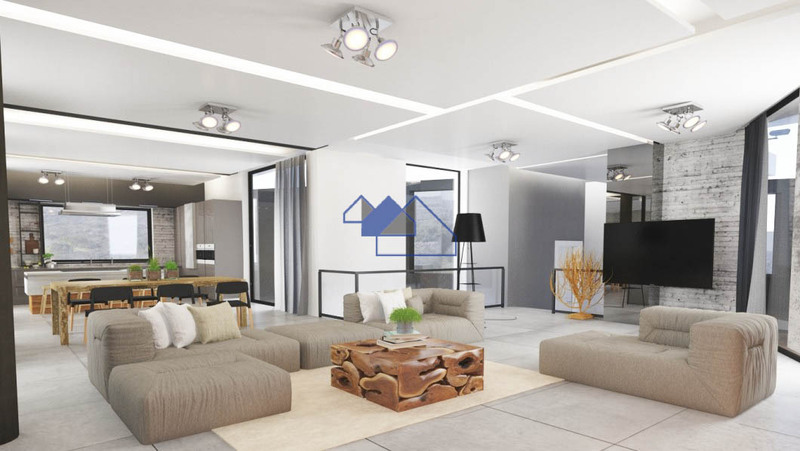 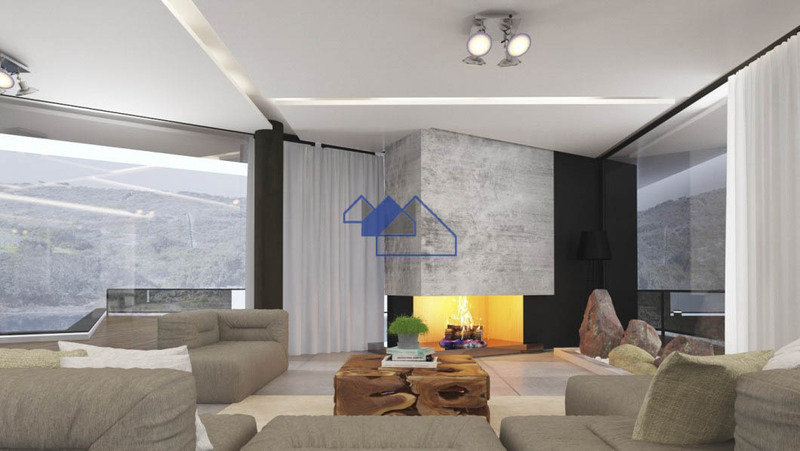 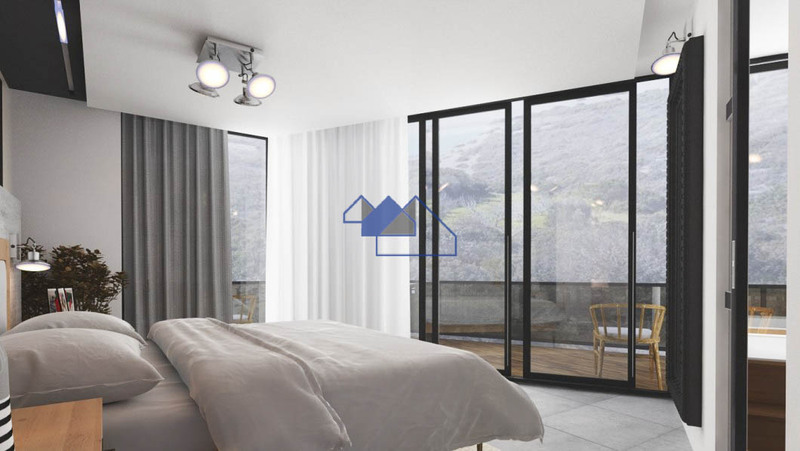 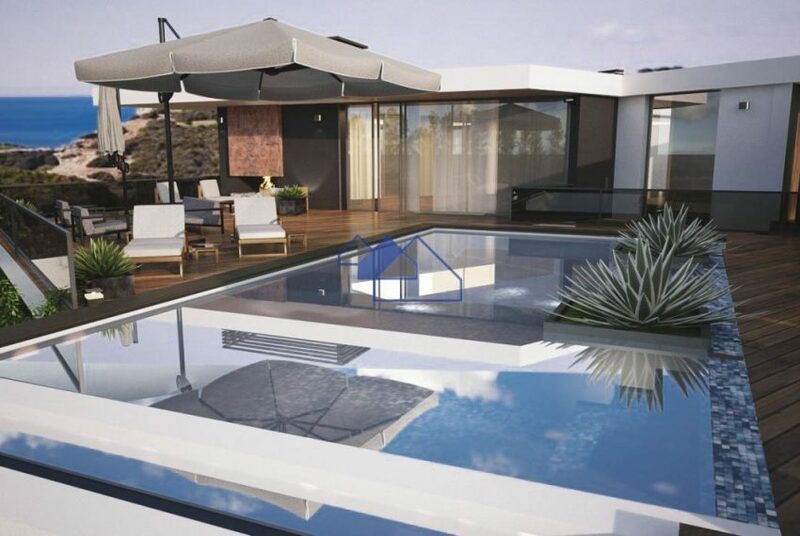 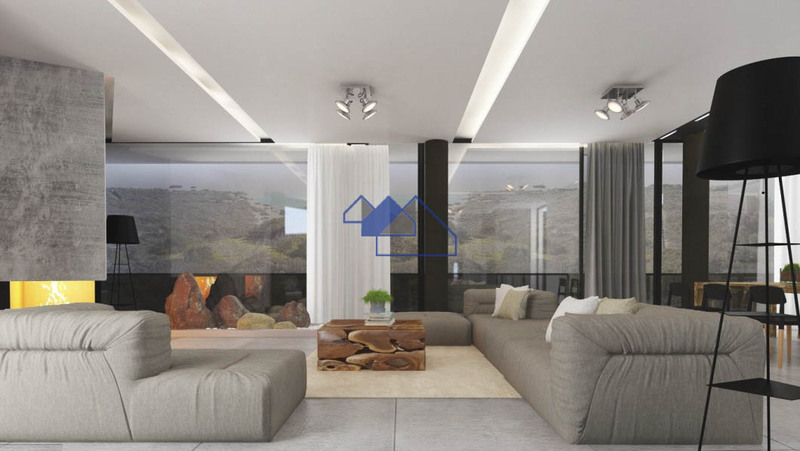 This villa’s project has been handed to an established and known Architect who will guide you through the whole process of making your dream home come true. 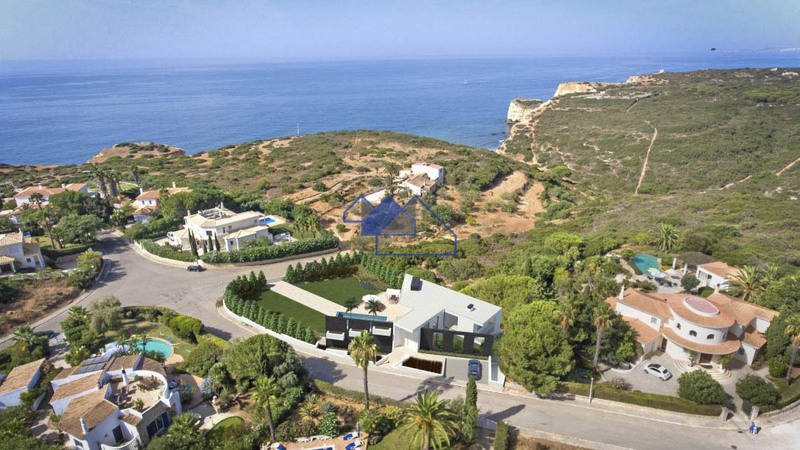 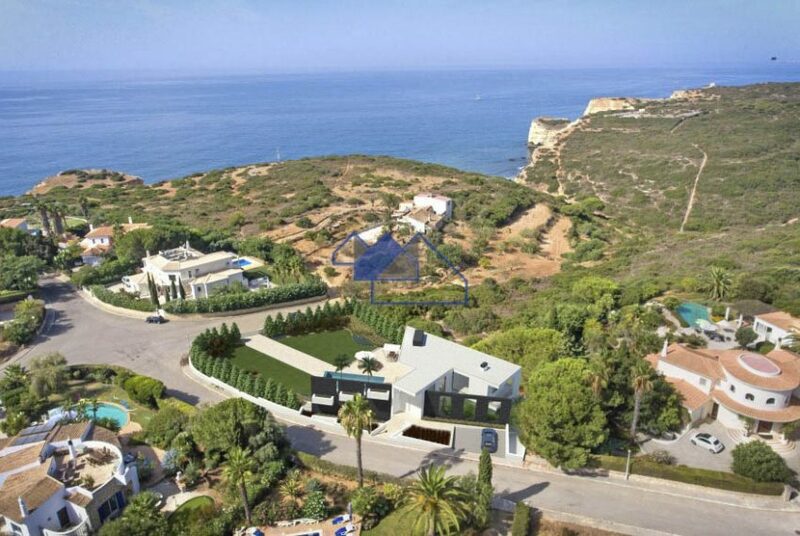 The villa is only 150 meters away from the beach and Carvoeiro a mere 3 km. 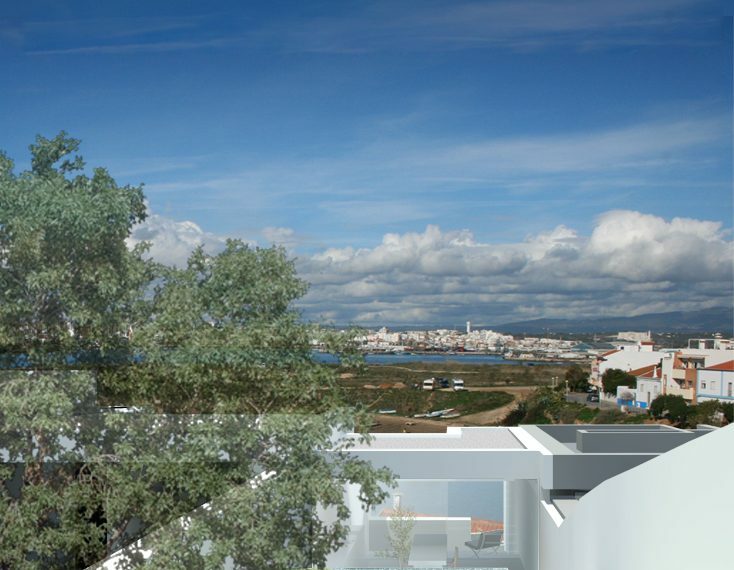 With its white washed houses and center square Carvoeiro is an old fishing village that still maintains much of its original charm. 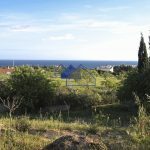 The center square leads to the village’s main beach and with its surrounding cafes and restaurants makes it the ideal place to have a meal or a drink while gazing out at the sea. 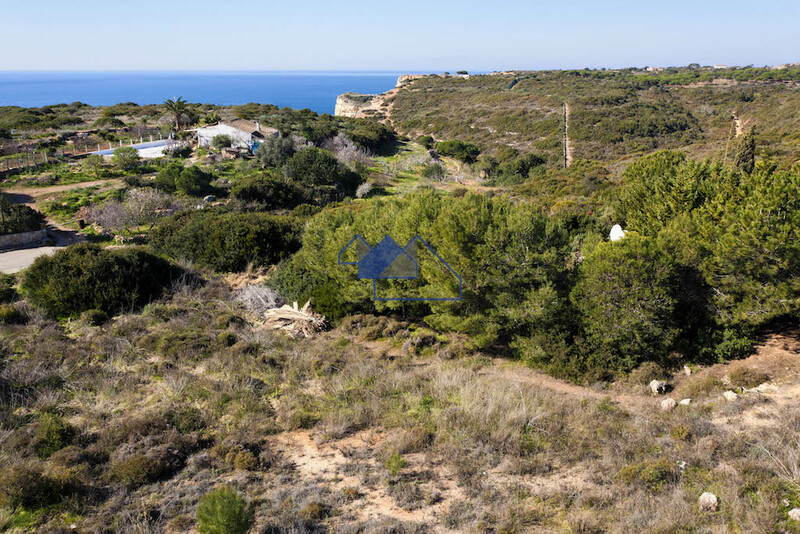 The beach is pretty flat and accessible which makes it ideal for families. If you would like to explore other beaches Vale de Centianes and Carvalho beach are close by. 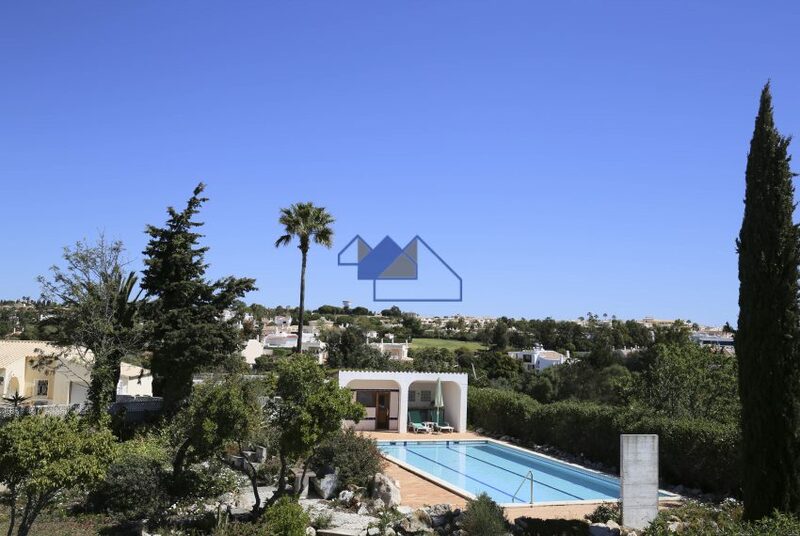 The village has two main streets so everything is in fairly close proximity and although small it has all amenities, such as supermarkets, post office, banks, pharmacies and lots of artisanal small shops. 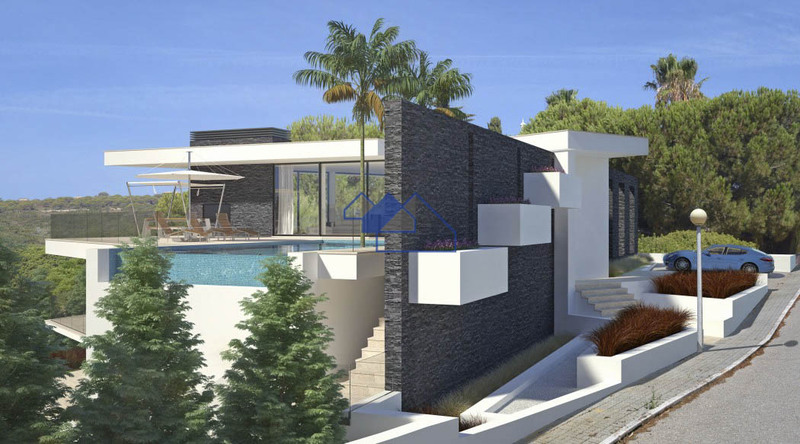 For golf lovers Carvoeiro has various golf courses, the nearest ones are Gramacho, Vale de Pinta and Vale de Milho. Carvoeiro also has a lively night scene specially in the summer months when there are various pubs and bars open until late at night.